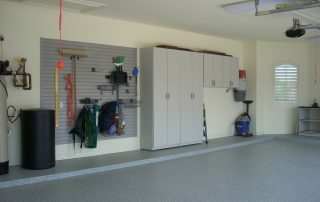 Garage Bliss! 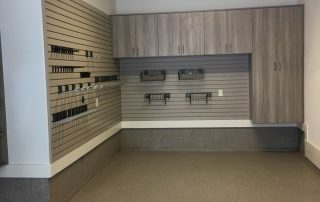 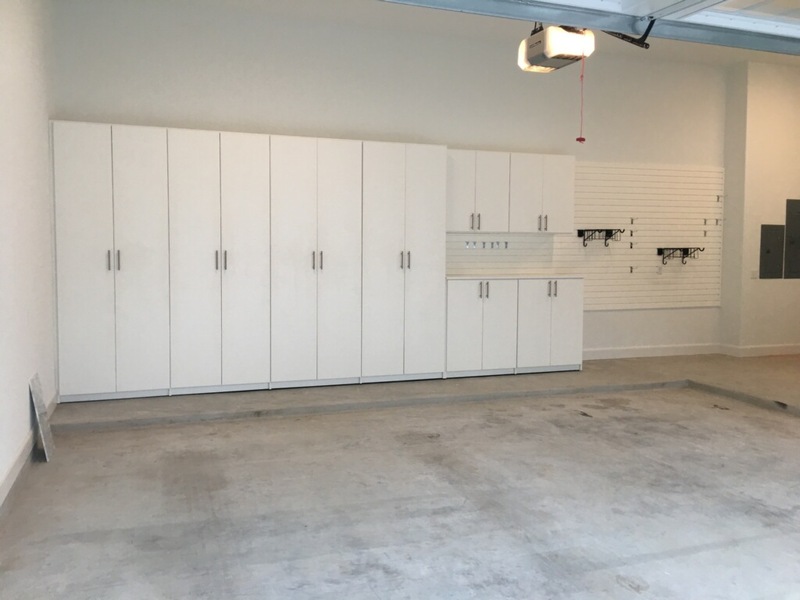 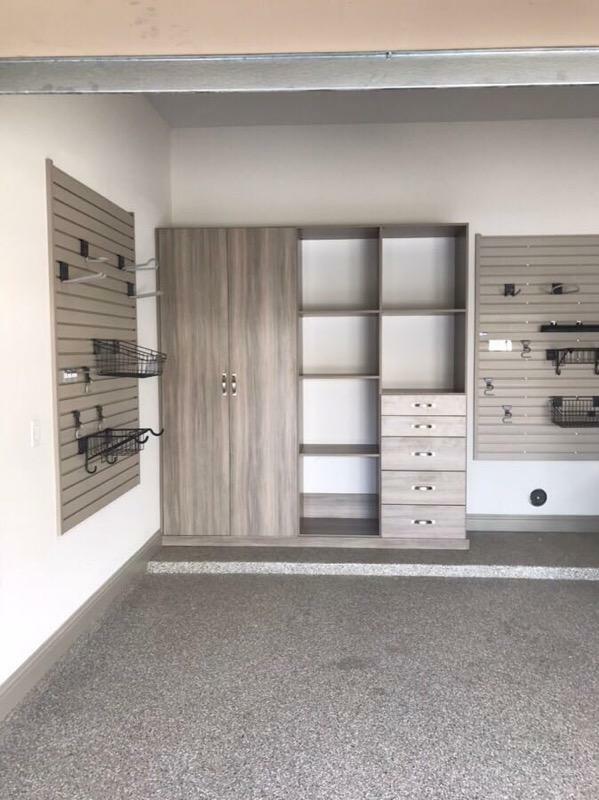 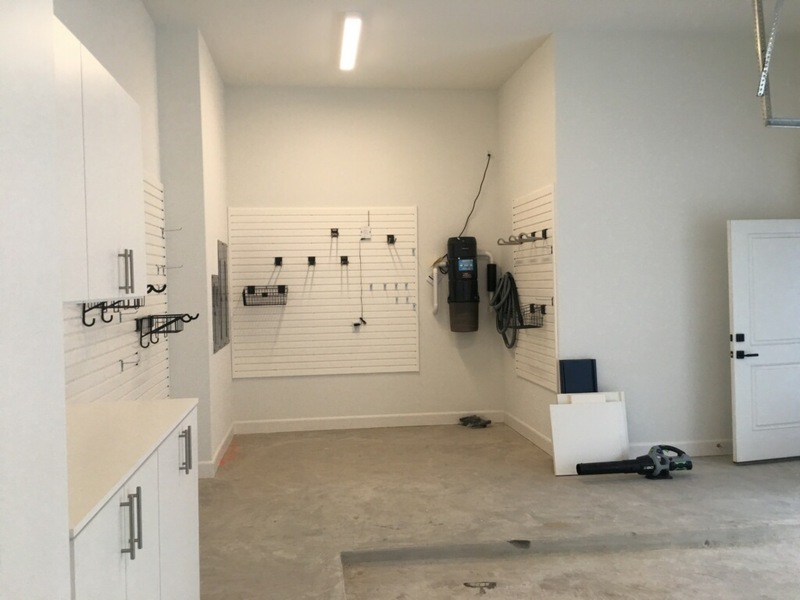 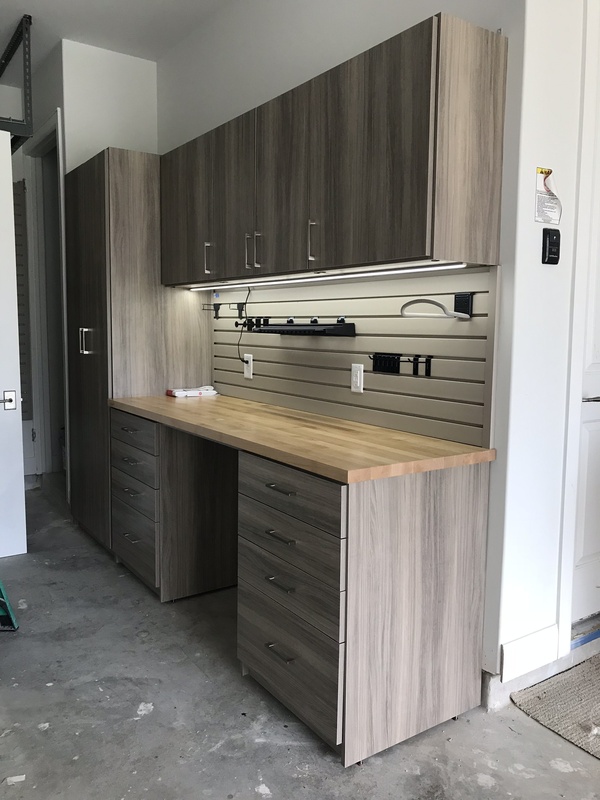 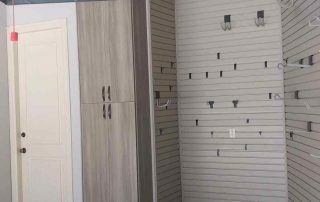 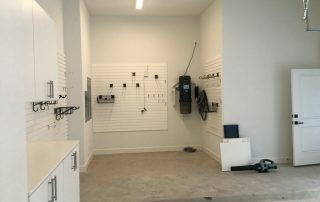 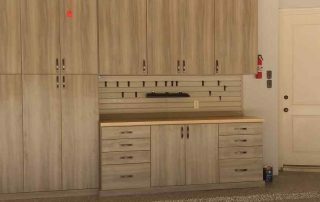 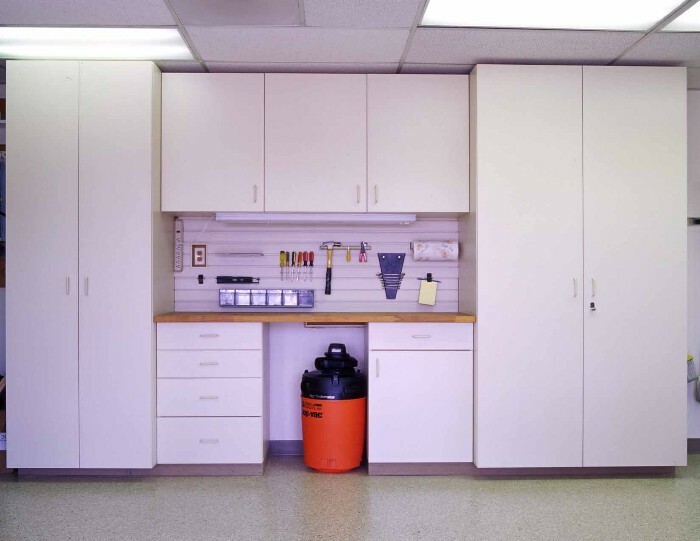 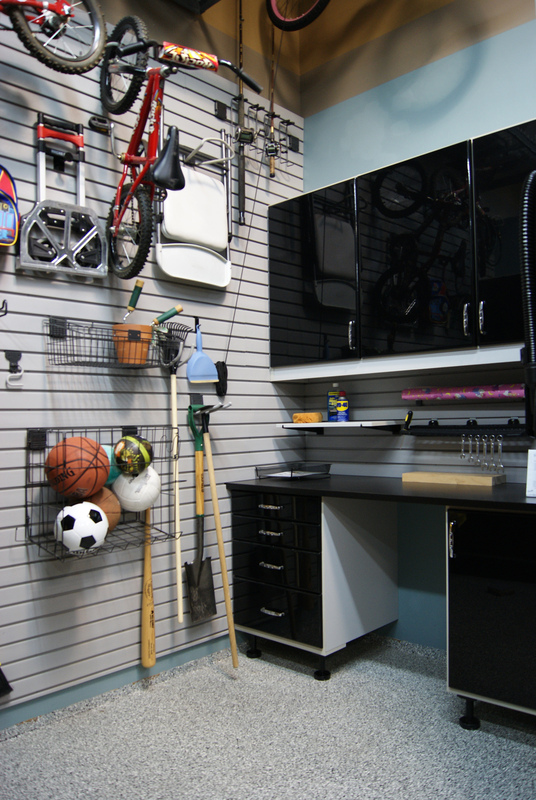 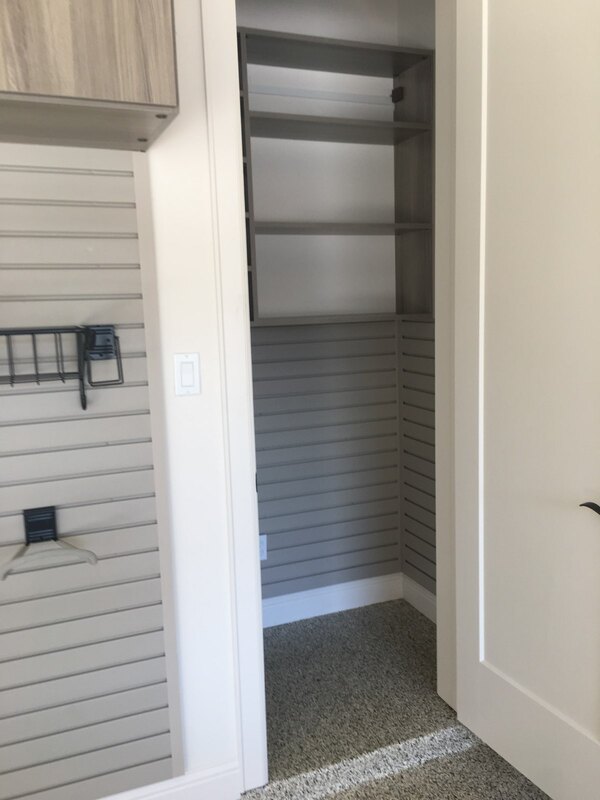 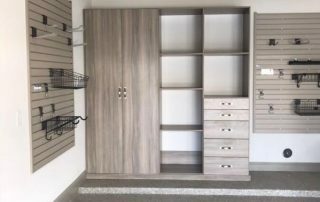 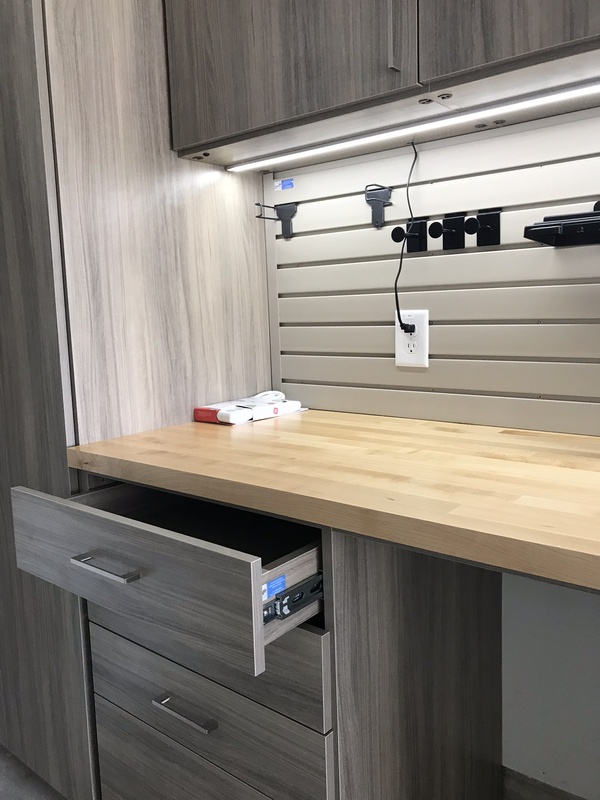 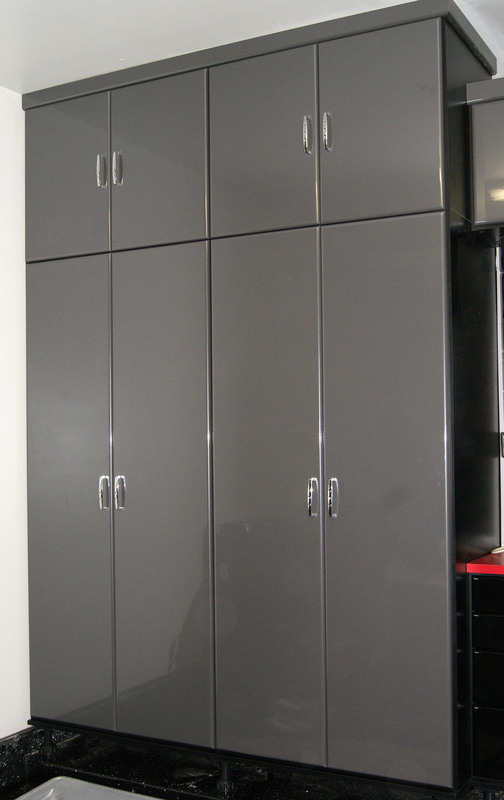 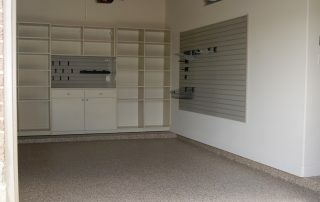 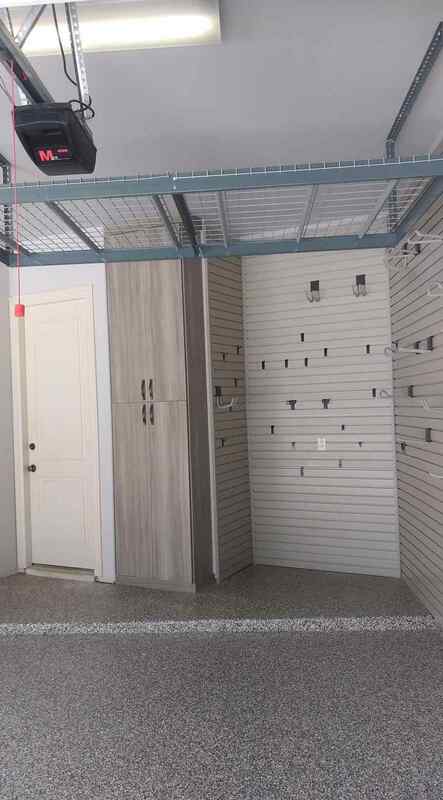 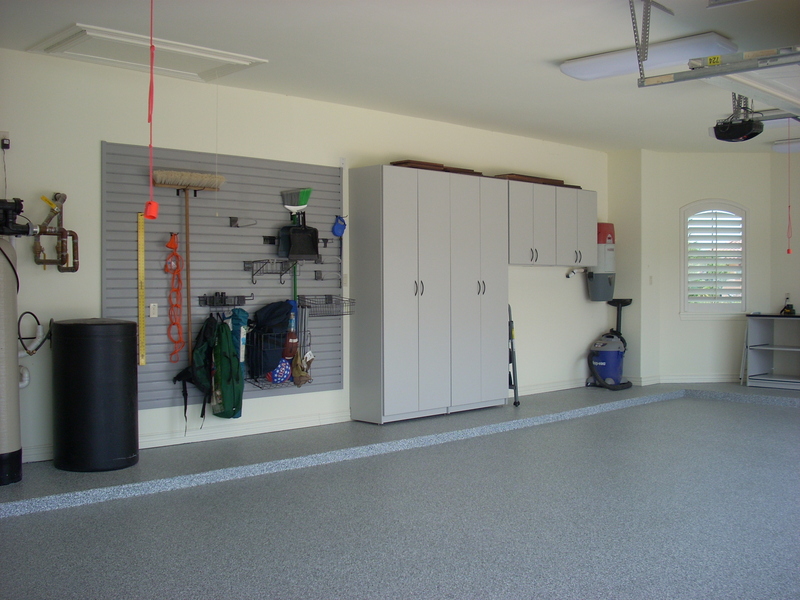 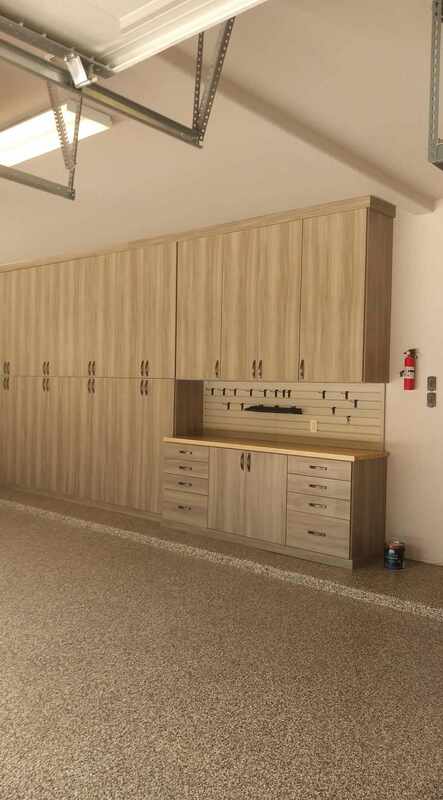 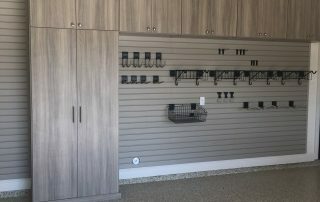 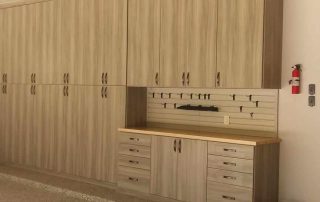 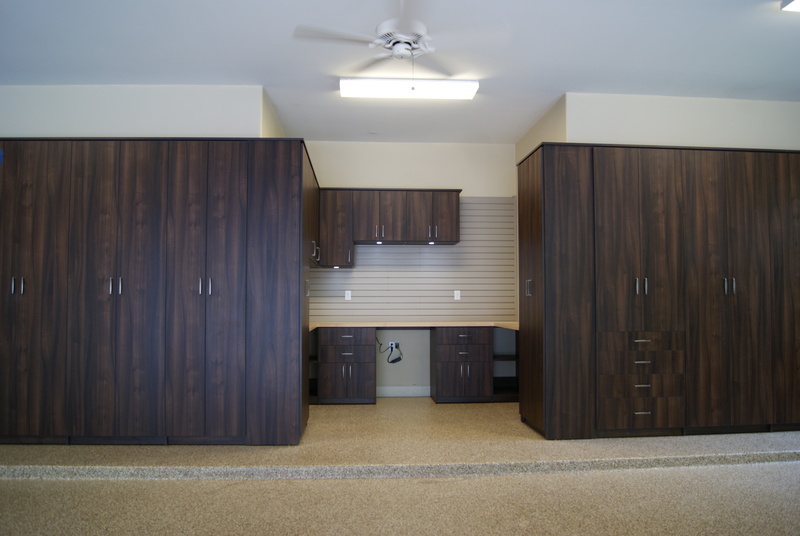 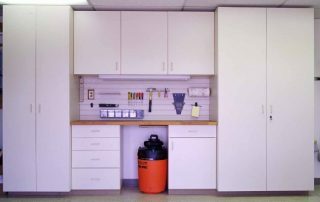 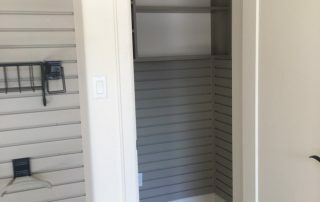 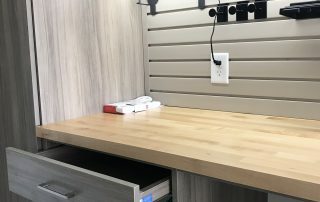 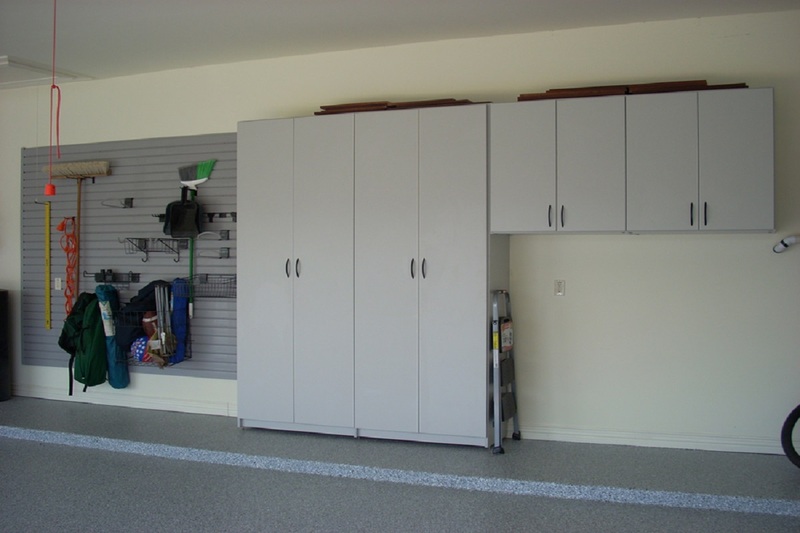 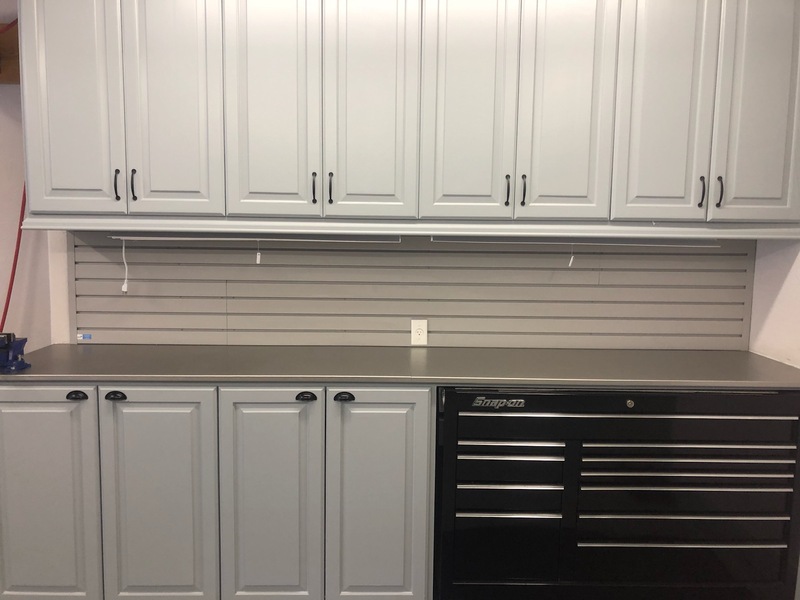 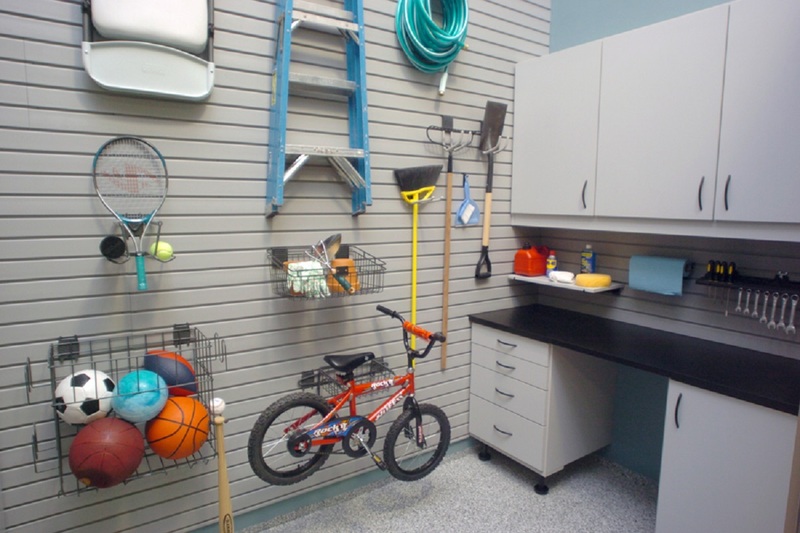 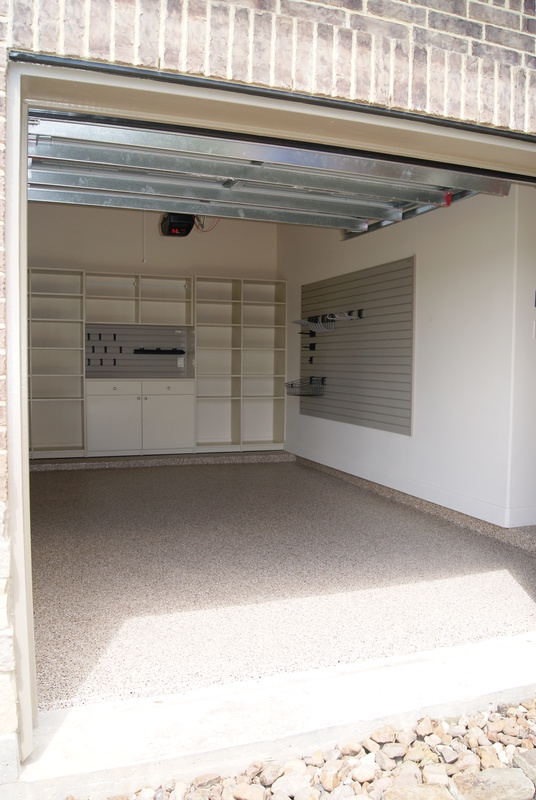 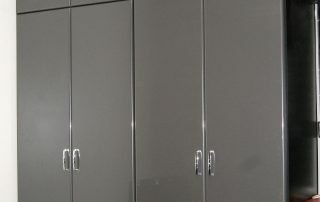 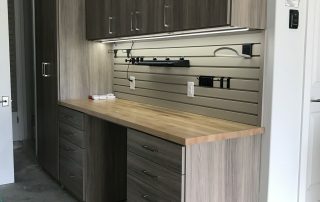 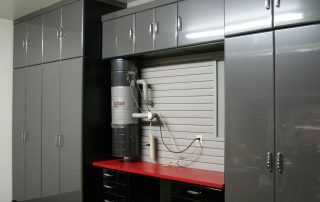 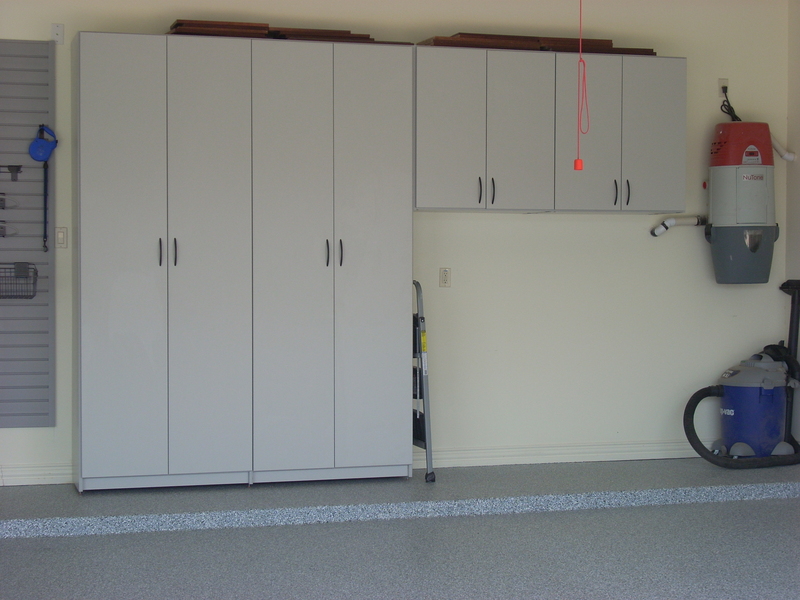 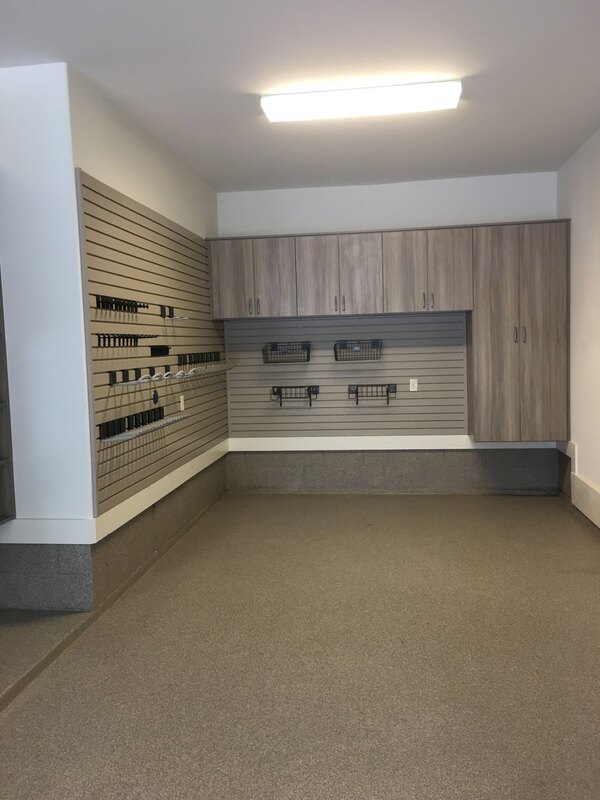 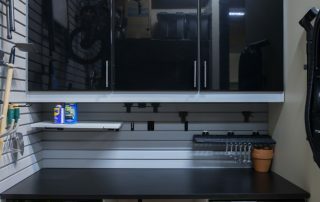 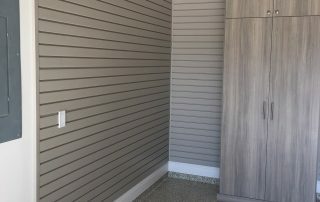 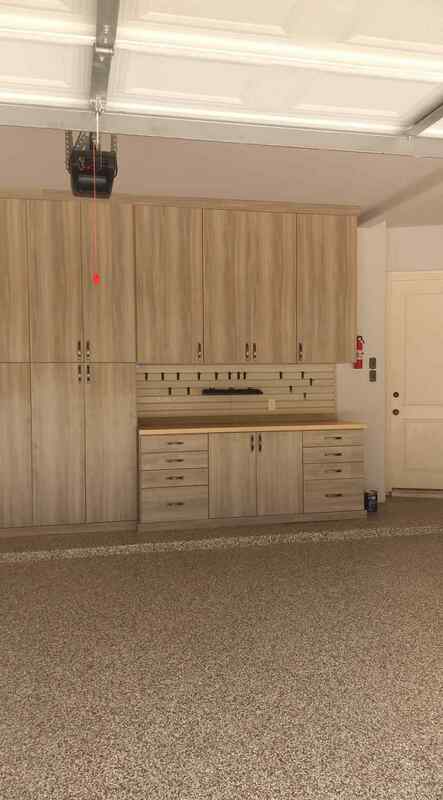 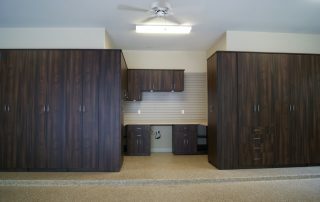 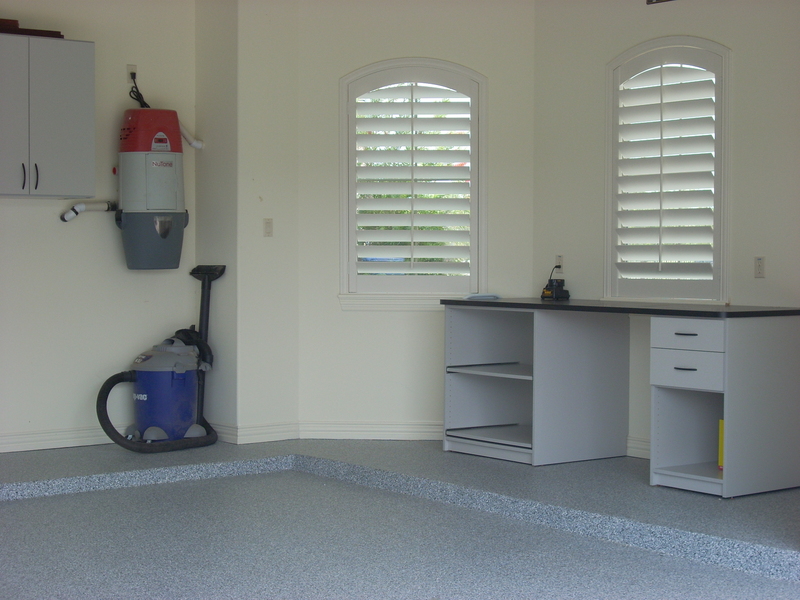 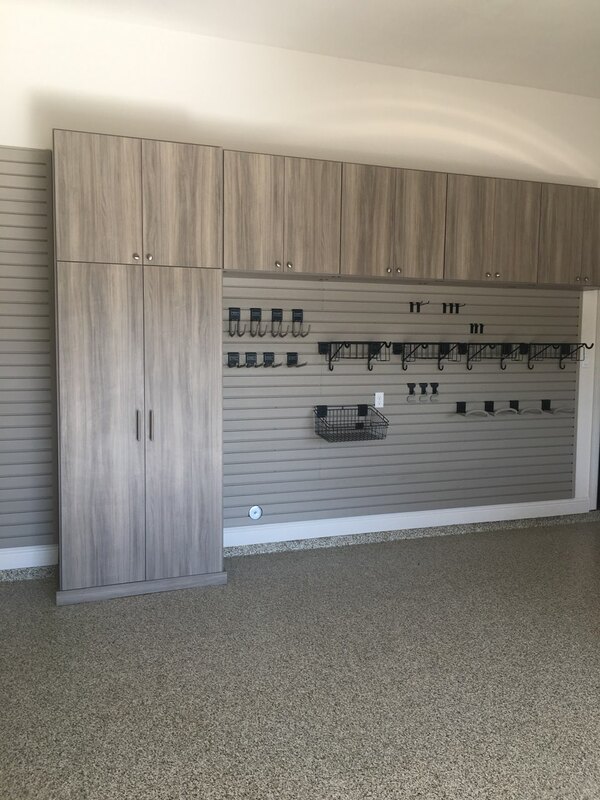 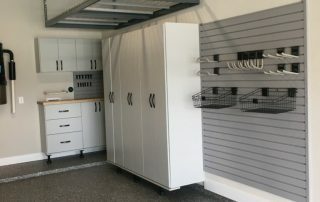 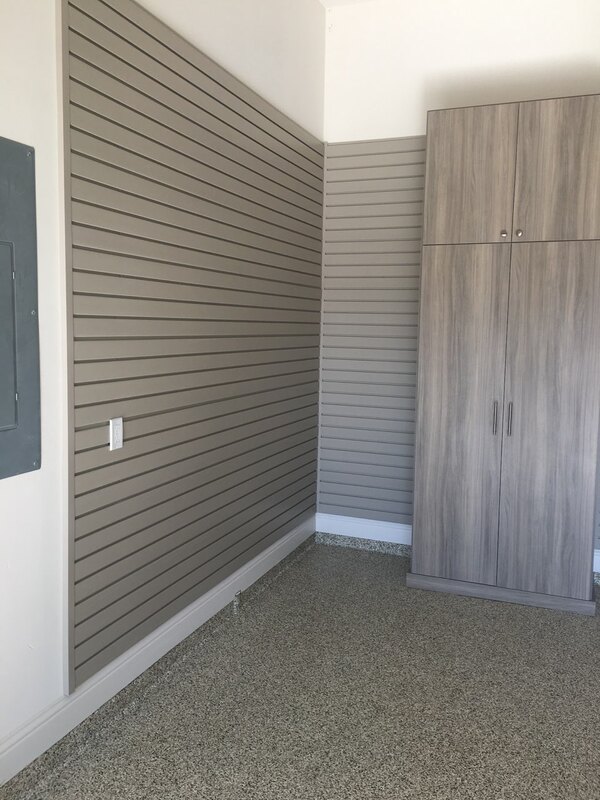 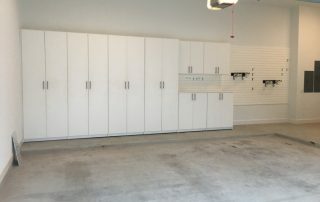 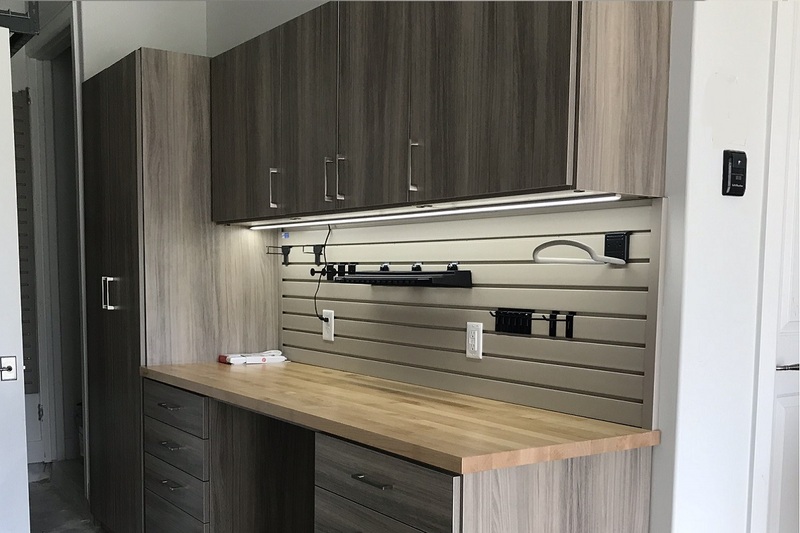 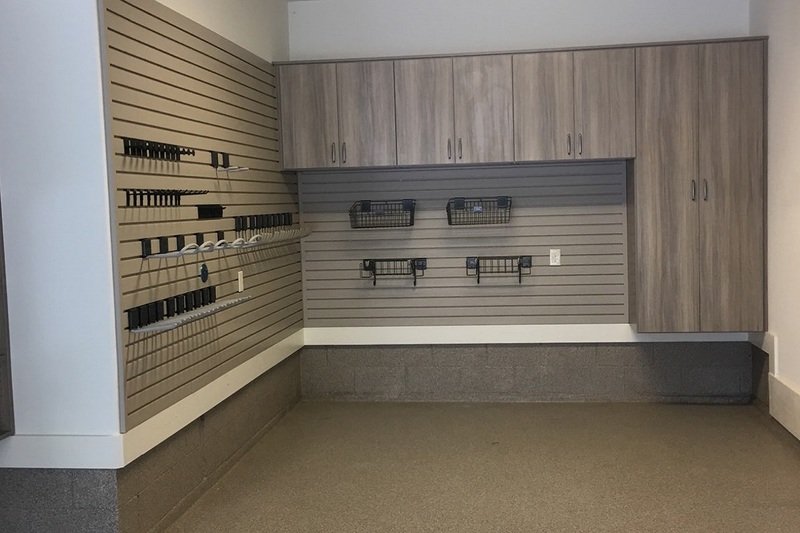 We custom design, manufacture, and install flexible garage storage systems with a combination of closed and open garage cabinets, workbench and counter space, PVC slatwall, and epoxy-coated flooring. 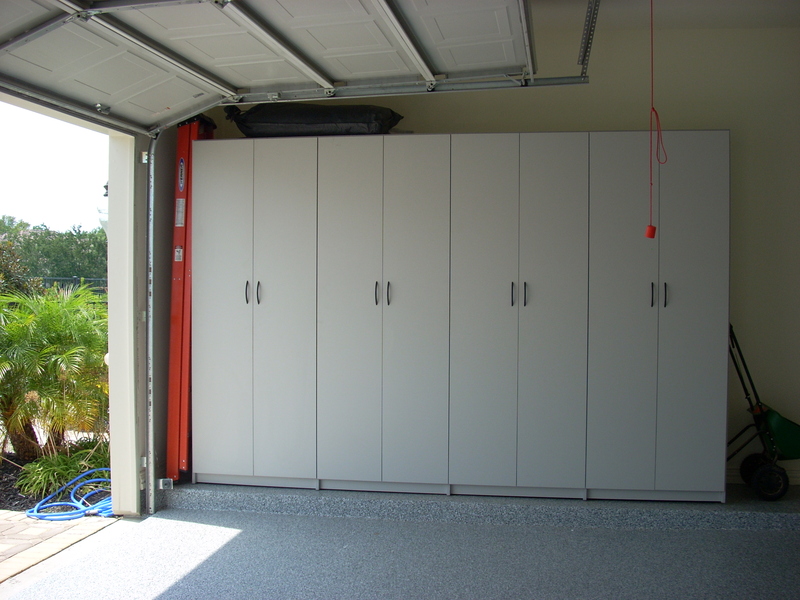 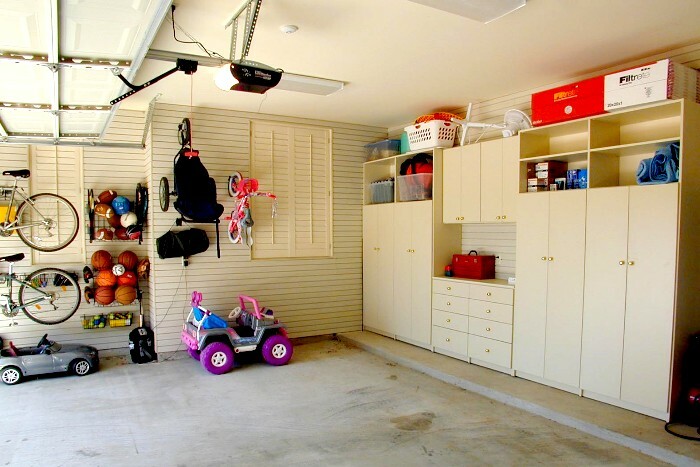 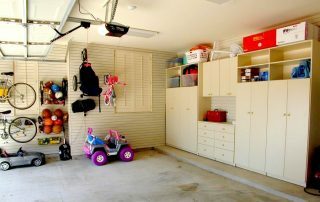 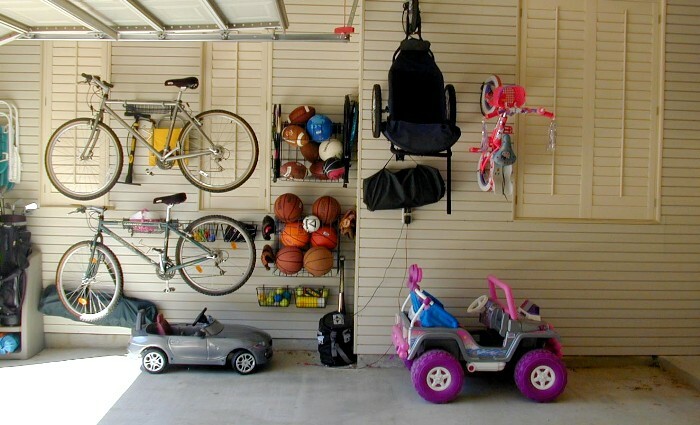 Regardless of your style and budget, your garage can be a functional, efficient and even beautiful haven for your autos and household storage. 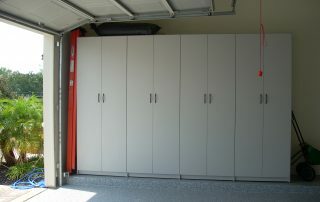 When your garage door opens, that satisfied feeling of Garage Bliss! 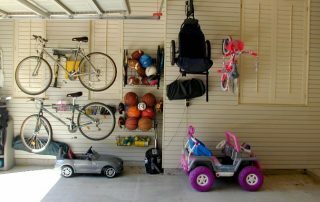 will make you smile every day. 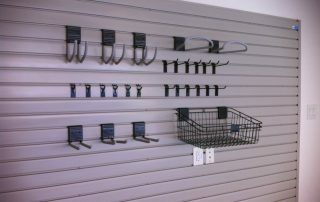 Our slatwall system contains tongue-in-groove channels that hold hooks, baskets and accessories. 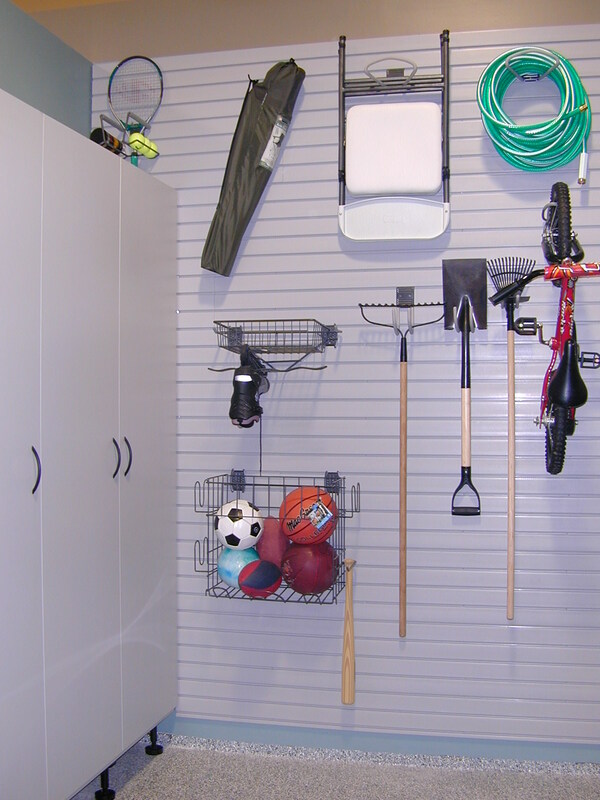 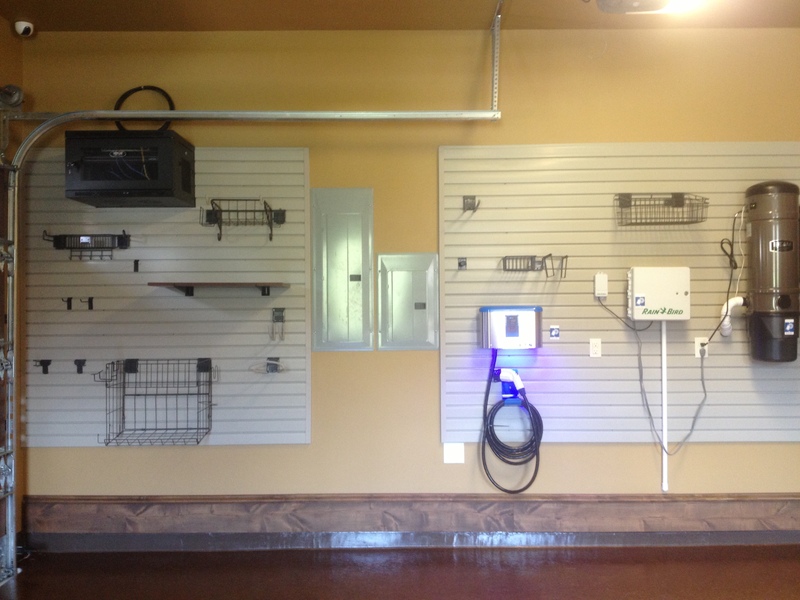 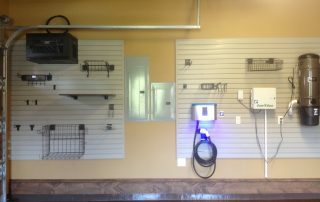 Metal shelving attached to the wall can organize automotive gear, gardening supplies, and other smaller items. 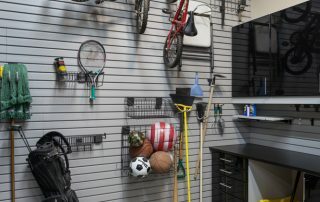 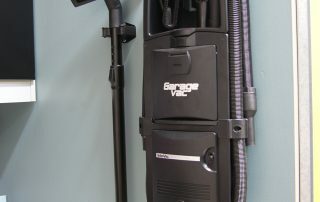 For lasting durability and to protect your tools and equipment, our garage accessories are made from rust-resistant powder-coated metal and covered by soft durable foam. 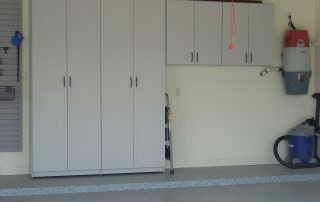 Cabinetry with adjustable shelves to stay organized and keep clutter out of sight. 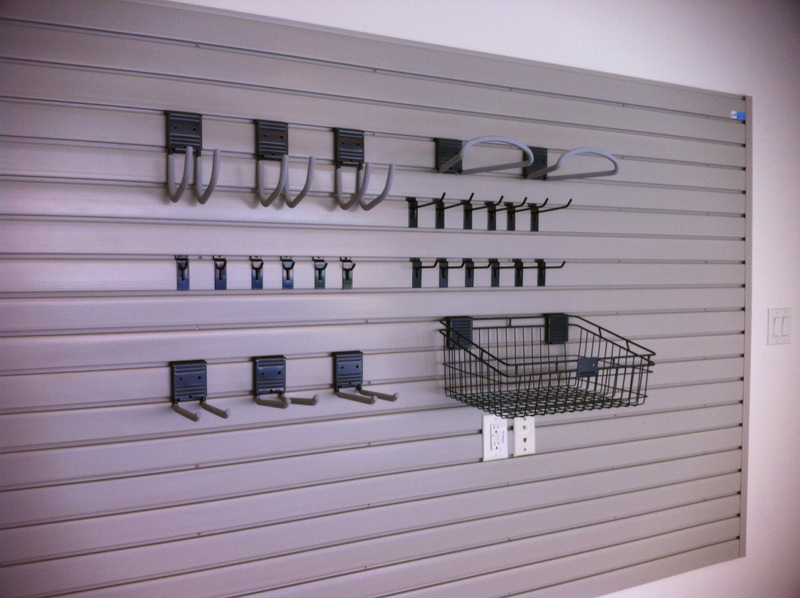 Heavy-duty steel shelves to keep tools and equipment off the floor and help prevent bending and lifting heavy items. 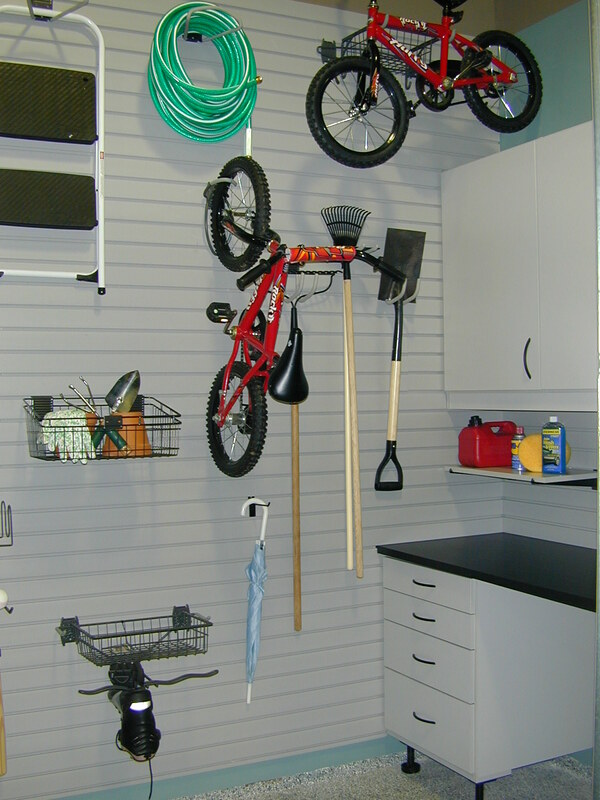 Double hooks, J hooks and loop hooks to accommodate all types of tools and equipment. 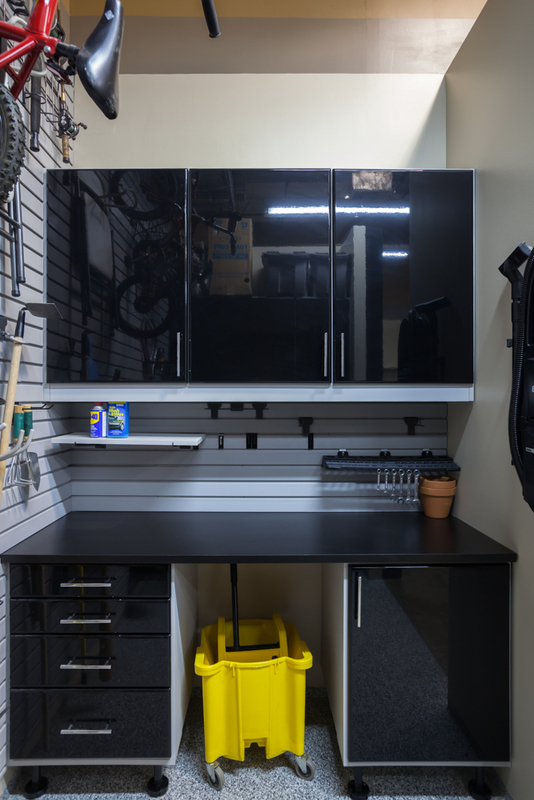 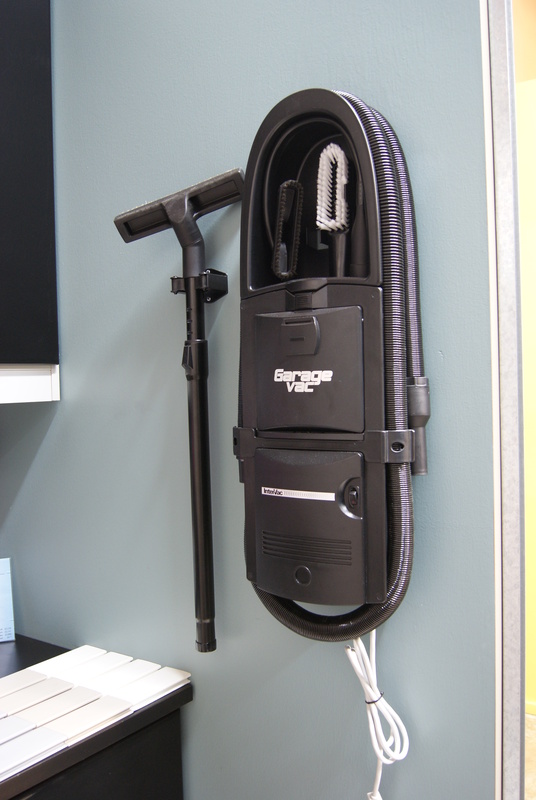 Strong metal baskets keep cleaning supplies, car care items and other equipment in plain sight and easy to reach. 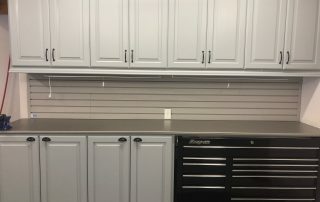 Tool racks keep hardware and even shop towels handy – never hunt for a tool again. 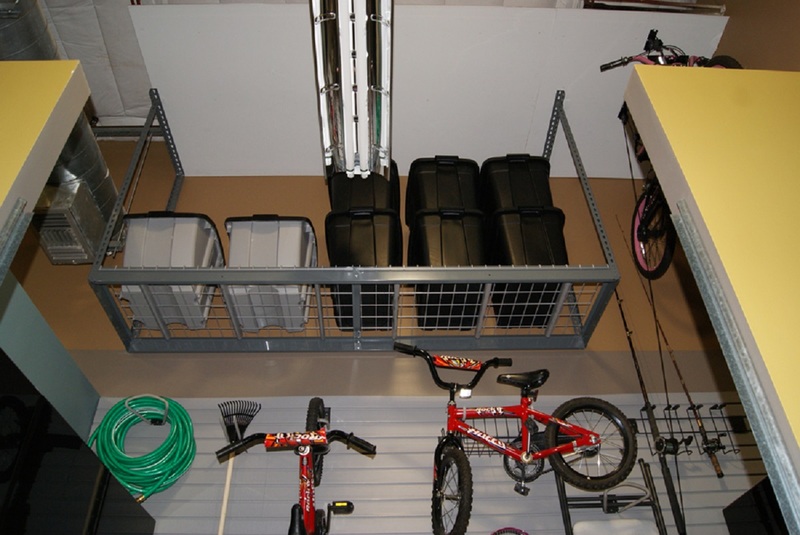 Overhead racks make use of valuable space near the ceiling for storing seasonal items. 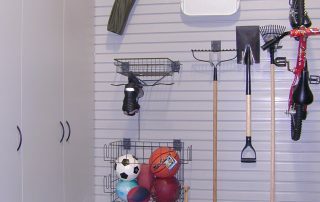 Sturdy shoe shelves prevent shoes from piling up at the door. 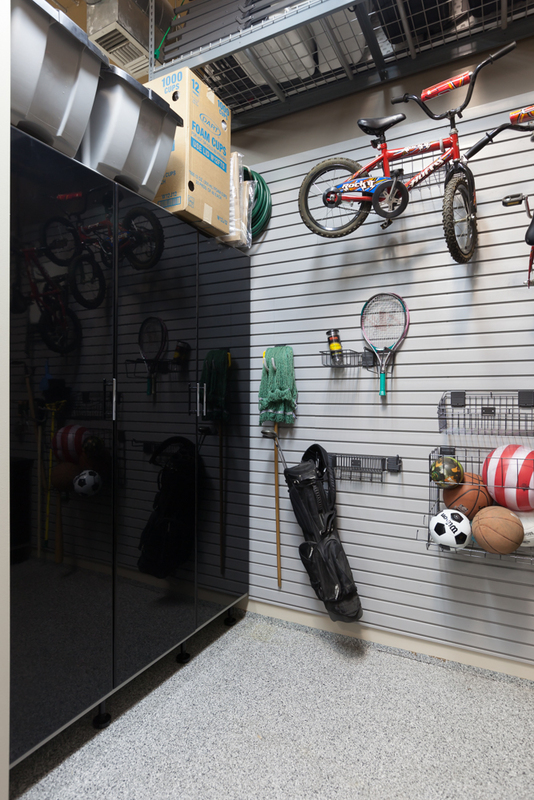 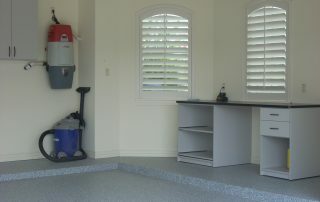 Mesh baskets keep soccer balls, pool toys and other equipment neat and off the floor. 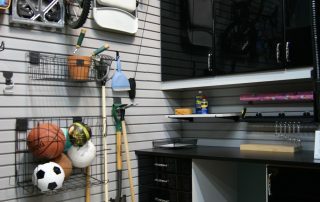 Golf racks organize golf bags, shoes, extra clubs and other gear in one place. 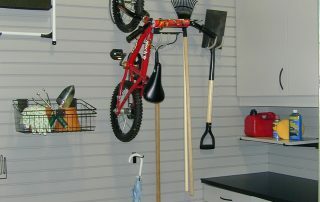 Garden racks and baskets keep your shovels, rakes, gloves and other gardening supplies organized. 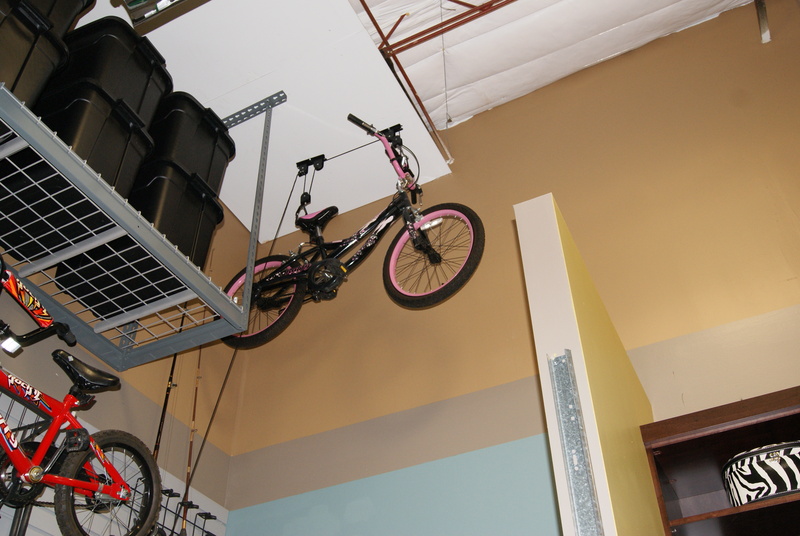 Vertical bike hooks and horizontal bike racks save space and protect your bikes. 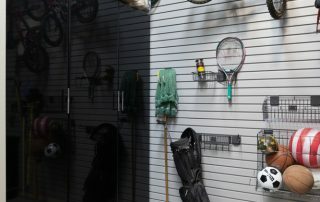 Fishing rod hooks safely store any size rods with reels in place. 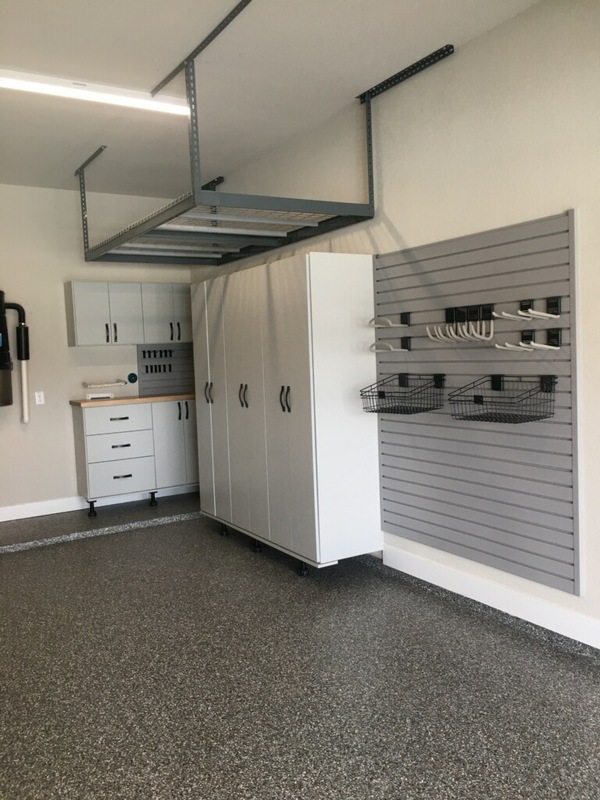 Our garage storage system offers the ultimate in flexibility – accessories can be moved, added or changed easily at any time. 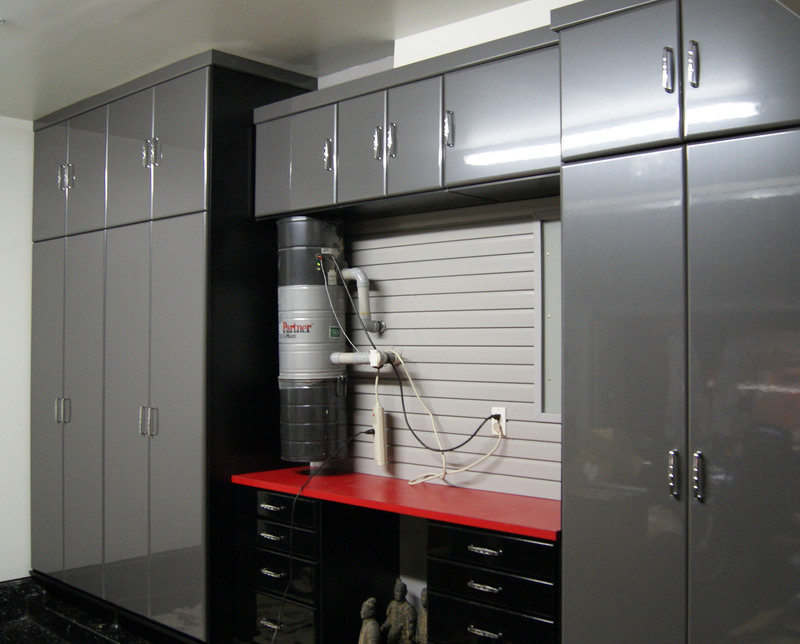 We are committed to providing a worry-free customer experience, from precise measurements to on-time installation. 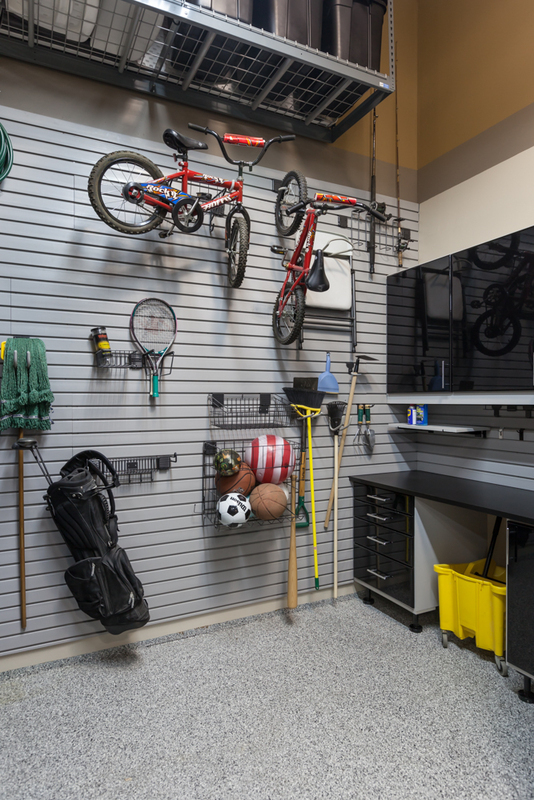 Our expert designers create a 3D interactive model of your garage in most cases during our very first visit, the free design consultation.